This weekend reminded me that big events, especially tragic ones, can touch our lives and change our lives. When they appear in fiction, we have feelings about them. The reason I don’t read a lot of fiction set in Europe during World War II is because when I was six, I realised that a pile of corpses in a picture were not only human beings, but could well have included cousins. I had to ask my parents about the pictures, even though I knew full well they’d not sugarcoat it and they said “Yes, that’s right,” and sat me down and talked me through the Holocaust and some of the things it meant for me. 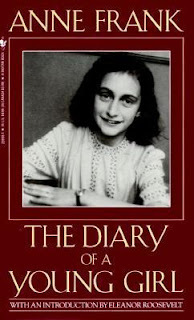 When I read Anne Frank’s diary as an early teen, I was ready. Why did I ask my parents and not my parents’ friends, some of whom were far more up on history and would have been able to explain things more gently? Melbourne at that time had one of the highest number of Holocaust refugees in the world. I was taught not to ask any of my parents’ friends about their childhoods or about modern history. This is one of the historical events that changed my life, even though it happened before I was born. I knew from when I was a child that people would hate me because I was Jewish and that I had to be patient with them, because it was something they’d inherited without question and I was able to question. That it was my responsibility to handle the impossible. I don’t always handle it well, but that’s a different matter. Today I found out how many parents of Jewish children are having to explain to their children this week, “It’s not safe.” This is what I was told and it hurts to hear any child having to endure it. I’ve heard it said to children whose parents endured the Vietnam War, the Cambodian… this is an aspect of most wars and of far too much bigotry. There are groups who are not respected and who are more likely to be targeted or to be casualties. There are some books, then, we can’t read because of how the shape of history affects us. Fiction is not neutral in our lives. The hurt can help us find out what kind of approach the fiction writer takes to their work and help us work out of this is a book we should read or not. It can also tell us a lot about the writer and what sort of cultural baggage they carry. My research project includes many components and one is to find out how Jews are depicted in historical fantasy. I started the Jewish element two years ago because I could see the rise in hate and I wanted to understand how our fiction could be part of a culture that supports hate. It was research I would have been doing in any case, but it’s slow because I keep taking a break from it. My research is emotionally tough. It tells me over and over, “Your parents were right – you’re not safe.” Not because the writers themselves are going to hurt me. I know many writers and they are good human beings. The problem is that one doesn't have to be a bad human being to unintentionally support the cultural narrative of those who do the hurting. 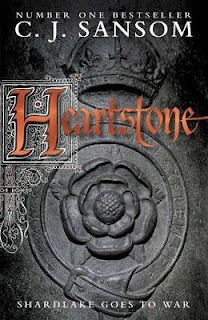 Let me say up front, that historical fiction is quite different in this to historical fantasy, but there’s overlap. Also, that there are different patterns entirely when the work is by a Jewish writer. 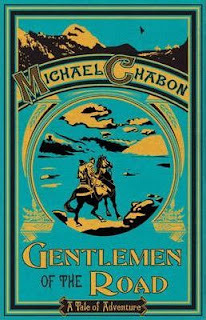 Michael Chabon’s Gentlemen of the Road, for instance, breaks the rules in a glorious way. The first thing I discovered was that, for most historical fantasy, Jews are seldom allowed to be core characters. When there are central Jewish characters (CJ Sansom’s world, for instance) they do a certain amount of duty or suffer a certain amount before they’re allowed to come forward or they fit a set of stereotypes. Jews can be moneylenders or criminals or spies, for instance (Eric Flint’s work makes one of the great Jewish families subversive in this way). Secret power is given to Jews in fiction (unintentionally supporting the Jewish conspiracy fiction), but actual power is not. What did this mean to me when the news about Squirrel Hill broke on Saturday? What does it mean to the parents of the children who are scared? It means that the vast majority of strong models (strong characters appearing across fiction ie not secondary characters only, not contained to a tony field) are within noels written by Jewish writers. Jewish readers do not see acceptance of who we actually are in historical fantasy. We see stereotypes. Sometimes they’re fascinating attempts to break stereotypes: Naomi Novik’s new novel about a moneylending family is this. But it fails on the safety test, because her idea of moneylending is so far removed from what I know about real lives in small towns. This applies to all the core characters in fiction. Are there other minority groups who would have been there in that place at that time (England after the Crusades was not as white as most fiction depicts it)? Are there women? Are there people with disabilities? The question is not whether every single novel we read has characters that come from a range of backgrounds. The novel has to work as a novel and it ought to reflect the historical background. I said this to a group of writers last year and one said, “I’m writing about Richard I – I can keep it white and male and able-bodied because that was who he was and who he mixed with.” A novel about the private life of Richard I may have Jewish characters and someone he knew may well have been murdered at his coronation – that’s within the boundaries of likelihood. A friend of his might have damaged themselves due to archery (for archery is hard on the body and too much archery can hurt. There would certainly be women in his life, too. Just because Richard and his bet friends wee white and male and able-bodied doesn't mean that every single person he mixed with was the same. Leaving out all these people is a choice the author makes. Did Richard ever meet anyone with dark skin? How could he not, when he went to the Middle East on crusade? He was in a place where there was big international trade: not everyone was White European and not everyone was Christian. Authors choose what we want in our fiction and those choices reflect who we are. Because of that picture when I was six, I try to include major characters who are Jewish in over half my novels. I want people reading my fiction to know that those people who have told me (as some have), “The only good Jew is a dead Jew” are creating their own fiction, and that there are other stories one can tell. That’s the thing. It’s not the choices made for a specific book that create our culture. It’s how all the books in a culture fit together. It’s not having everyone from a single background in one or two novels, it’s applying those restrictions to all novels. It's how all the books we read create material which we use to interpret our own lives. There’s a link between the narrowness of the depiction of characters from a minority background and how that minority is treated in real life. Fagin was based on a real person. Ikey Solomon was depicted as a quite different person in fiction to what he was in real life. Dickens used stereotypes to create Fagin and every time “Oliver!” is shown around me, I can hear the questions and the tensions ramp up a notch. Writer choices are critical components in how we experience culture and how we interpret our worlds and live our lives. I didn’t intend to write a polemic. I feel as if I ought to apologise. Maybe I should do something one step better than an apology, though. If you have favourite historical fantasy that has key characters who aren’t villains from any of those backgrounds (minority religion, minority race, women, has disabilities or mental health problems) please write a comment here telling us about them or send me a note through twitter of Facebook. If the list becomes long enough (I can dream!) I’ll chase down more detail and share it with you all. Let me start the ball rolling with one of my favourite fiction characters: Benjamin January, in a series about him by Barbara Hambly. Note: I'm adding a note because Google gets into a loop and won't let me answer questions or reply to comments directly. First, Jewish characters don't have to be 'of faith'. Judaism doen't generally explain religion in the way Christianity does, for one thing. They can be secular, for another or they can be somewhere in between: I have a friend who lives on Squirrel Hill and, fortunately for me, only goes to synagogue on the big days). They can be many and varied in nature and character and language. This kind of research is basic for any novel for any character. When I teach noel-writing, part of it is teaching research and characterisation. The question of how well it's done reflects on the writer, therefore, and affects the quality of the novel. If writers consistently choose negative stereotypes for a specific culture/religion/race/gender then that's a very particular type of homework to not do because it means the writer is taking a position that sharing the negative stereotypes is less of a problem than doing enough research to create more interesting and diverse characters. When negative stereotypes lead readers in the same direction in novel after novel they can hurt the real-world people being written about. I am told so often that a person knows about Australian Jews because of Fagin. I was even called Fagin in primary school in the same year I was personally accused of killing Christ. Fiction when all gathered together creates cultural frameworks. One book doesn't cause a framework, but when most books in a genre fit into a pattern, then it presents us with cultural bias and has the potential to hurt people. Or not. Research makes a difference and the choices a writer takes can make a difference. Mrs Maisel sounds delightful. When I have time (not for a while, alas) I'll check her out. As a non-religious white female writer, I think it's difficult for any author to use characters of faith in their stories when they themselves are not raised in that faith. There's bound to be a certain amount of stereotyping, because the information used to build those characters must be second- or third-hand information, which tends to be generic and inaccurate to some degree. The hard part is where to draw the line. 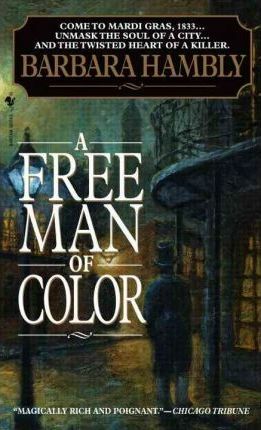 It would be silly to say that authors should only write about people or races or religions which they are, or are a part of... and yet when authors write characters of other races and religions, the people who *are* of those races and religions have justified complaints because things are gotten wrong. On a side note: I just got through watching Season 1 of the series "The Marvelous Mrs. Maisel", and I loved it. Did you get a chance to see it, and if so, what did you think about it? (It's based on a young Jewish woman and her family in the 1950s, and she becomes a stand-up comic...). I was drawn to it for the vintage clothing and hair, but ended up loving the characters too. I love the series "Mistress of the Art of Death" by Ariana Franklin. Set in medieval Cambridge, it tells of Adelia, who is not only a doctor but a woman and a Jew. She has to hide the facts of being the doctor and a Jew by saying that her companion, an Arab, is the doctor. She is wonderfully strong, sure of herself and manages to get through 5 books only alas as Ariana Franklin passed away very suddenly. The books are wonderfully written, and Adelia is definitely the main character and most important. Only a handful of people - mainly the King - know who she is and what she is. I was drawn to the books because of the medical knowledge and practices and the fact that Adelia gets over the predjudice and hate every time! Would you count Guy Gavriel Kay’s The Lions Of Al Rassan? True, set in a different universe, but the three religions in the Spain-equivalent are meant to be Christianity, Judaism and Islam, and there is a principal character, posrively portrayed, who is “Jewish”. And female and professional!